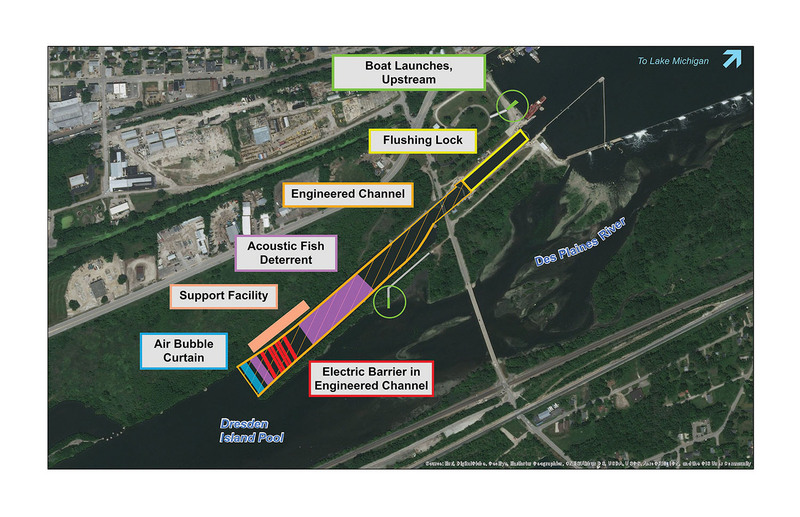 After years of further input from local stakeholders and some controversial delays, the Rock Island Engineer District released its long-awaited final preferred plan for countering the threat of migrating Asian carp at its Brandon Road Lock and Dam facility on the Des Plaines River. The plan, released November 21, updates the tentatively selected plan released August 2017, with significant changes and dramatic cost escalation, from an estimated $275 million to $777 million. It is the most complex of several alternative proposals, including an array of structural and non-structural measures to target carp infiltration in many ways and at different stages of the carp life cycle. The review period runs through December 24, following which the district will submit the plan to the Chief of Engineers for final approval in February 2019. The navigation industry has strongly opposed many of the measures included in the final plan as unnecessary and restrictive to navigation. A coalition of business and navigation groups called Unlock Our Jobs, supported by The American Waterways Operators, has pointed out that despite a few well-hyped scares involving individual fish or DNA, no firm evidence has emerged of reproducing Asian carp being able to breach the current barriers in place. It argues that current non-structural measures and monitoring are enough to stop the spread of Asian carp. The final preferred plan appears to give the Great Lakes states everything they wanted, short of permanently closing the water link between the Mississippi River system and the Great Lakes. That water link between Lake Michigan and the Upper Mississippi River system was first conceived in 1885 and finally opened in 1900. A series of engineering projects, including the Chicago Sanitary and Ship Canal, reversed the flow of the Chicago River and channeled Lake Michigan water into the Upper Mississippi River as a way of flushing increasing pollution generated by the booming city down into the Gulf of Mexico instead of into the lake. The largest earth-moving operation on the North American continent to that date, it was hailed as an engineering marvel at the time. But in recent years, as north-migrating Asian carp were perceived as a threat, some have called for reversing the link and severing the two systems again. Such a move, which is unlikely to happen, would block commercial barge navigation to the Chicago area and would put many more trucks on the road in the already road-congested city and surrounding region. The updated plan’s recommended structural measures include an acoustic fish deterrent, another electric dispersal barrier, an engineered channel, a flushing lock and an air bubble curtain. The nonstructural measures include education and outreach (which the Corps has already been doing); integrated pest management, somewhat vaguely described as “a series of pest management evaluations, decisions and controls”; manual or mechanical harvesting of fish species from the waterway; “nonstructural monitoring:” including “electro-fishing” and radar to monitor fish species; and regular applications of fish-killing poisons. A section of the final report details the changes from the tentatively selected plan to the final preferred plan and explains the cost increases. • The increased cost estimate of $777,836,000 was due to “expedited implementation strategy” of “additional engineering and design completed” since the release of the tentatively selected draft. Two implementation strategies are detailed in the final report: “incremental” or “expedited,” based on two funding scenarios. • The final plan would build new boat launches both upstream and downstream of the lock to accommodate the vessels that would apply the various measures. • A field demonstration of water jets found them to be “infeasible” and they were replaced with air bubble jets instead, which were deemed to do a better and “less expensive” job of reaching into the recesses of barges to dislodge any hitchhiker fish species. • The final includes details on environmental mitigation, mainly fish passage improvements (for local, non-invasive fish) on the Des Plaines River and its tributaries. Comments can be sent to GLMRIS-BR@usace.army.mil. 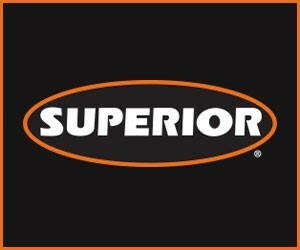 Comments may also be mailed to: U.S. Army Engineers Rock Island District Attn: GLMRIS-BR Project Manager, P.O. Box 2004 Rock Island, IL, 61204-2004. The report’s formal name is the Great Lakes Mississippi River Interbasin Study – Brandon Road Final Integrated Feasibility Study and Environmental Impact Statement. The full report is available at www.mvr.usace.army.mil/Missions/Environmental-Protection-and-Restoration/GLMRIS-BrandonRoad/. Caption for photo: Corps of Engineers graphic showing Brandon Road Lock preferred plan.